Electric Mobility gives you peace of mind by giving a full 12 month warranty on all our new products and 6 month warranty on all our used products. In the unlikely event of an issue we will act immediately to make sure you are back up and running in the quickest possible time. We are here to help, and are always available whether your warranty period has expired or not. 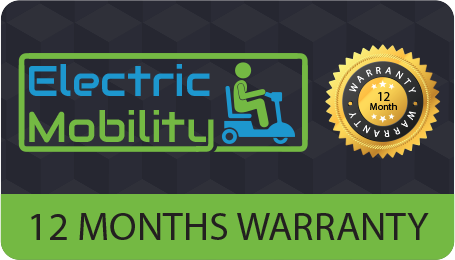 Electric Mobility are proud to offer a Warranty Service that comes to the Customers Home for your convenience in the following locations; Dublin, Kildare, Wicklow, Carlow, Wexford Waterford and Kilkenny. For all other locations we can provide a Return to Seller Warranty.